I felt the balloons leave my hand, and I drew in a deep breath. 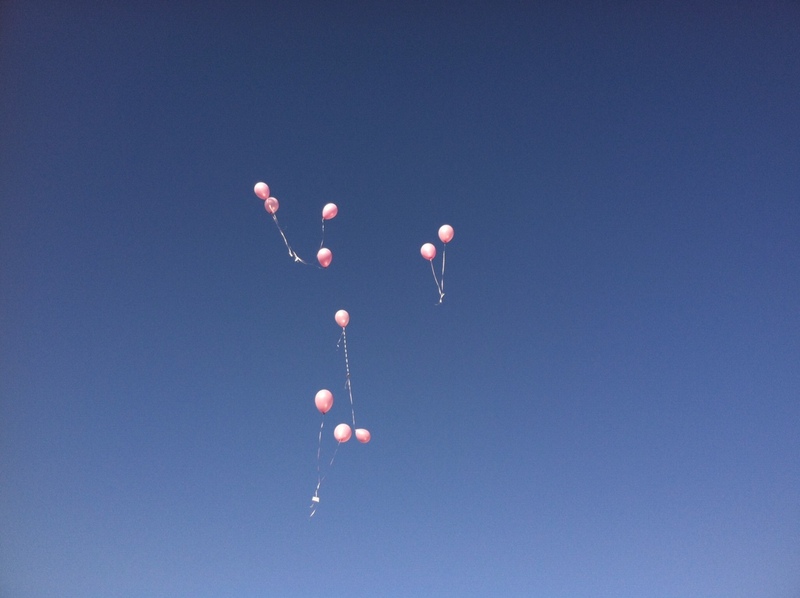 Attached to those balloons were the words of hopes and dreams that I had been holding on to….. too tightly. This is a new journey for me. I don’t fully understand it all, because I have never lived my life this way, however I know it is right. And to even try to go back to what once was, doesn’t even make sense and is uncomfortable. I will never ever be able to do life the same again. Or church, or marriage, or ministry. My theology has changed, my opinions of love and inclusion and kingdom, and healing. My experience of God has changed, he is more present with me than he has ever been before. He is near me, for me, with me and he goes before me. I no longer have the pressure to do or become anything or anyone. I am free. Like the balloons. To move, journey, and LIVE with liberty and permission. And while it may be uncomfortable for a time, as I embrace this new direction. I am okay with it, because it is what God intended for me all along. His plans good. For me. With me. Always. His plans for you good. Always. What do you need to release today? Release – allow (something) to move, act, or flow freely: • allow (something) to return to its resting position by ceasing to put pressure on it: to surrender. Lesley is a Wife. Mom. Friend. Sister. Daughter. Artist, and Writer. Stage 4 Cancer fighter. Authentic. Passionate Risk Taker. Founder of Dandelion Wishes, Inc., Social Justice and Lover of Jesus. I was just thinking about you (and praying for you) today. Love this. Love you. Release–it is a good thing. A really, really good thing. Tasting more of it makes it pretty impossible to go back to the old way of doing things. Wishing you more and more freedom, peace, and of course, love as you journey on. Thank you Cindy. ❤ For ALL of your love and support. There is freedom in the release! His plans are so so so good for you, for me, for all of us. And He is with us until the very end of the age…..to infinity and beyond. Love you and for you always. Thank you Wood. Love you to the moon and back.